Learn how to make a Grilled Salmon with Garlic, Ginger and Basil Sauce Recipe! Visit http://foodwishes.com to get more info, and watch over 400 free video recipes. 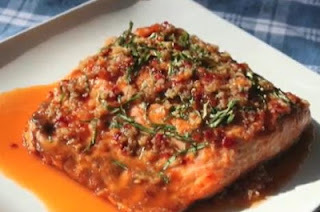 Enjoy this easy Grilled Salmon with Garlic, Ginger and Basil Sauce Recipe!